According to medical users, CBD oil eases anxiety, relieves depression, and helps with sleep issues. In May 2018, the Food and Drugs Administration approved CBD in the treatment of two forms of severe epilepsy. That made CBD the first marijuana compound to be approved by the federal government. What you should be asking yourself now is if CBD oil is the right thing for you. CBD is one of the more than 120 compounds referred to as cannabinoids. Many plants contain cannabinoids. However, the compound is mostly found in cannabis plants such as hemp. The method used to breed the plant affects the CBD levels. Industrial Hemp produces most CBD as it has a higher level of CBD compared to other cannabis plants. CBD is extracted and added to a carrier oil, after which it is called CBD oil. Most people do not know the difference between cannabis CBD and hemp CBD. Hemp CBD oil has 0.3 percent of THC while cannabis CBD oil has over 0.3 percent of THC. An illegitimate CBD provider will at best, give you a poor quality product. At worst, you'll never see your money again. To find the best online CBD providers you should first check if their website is legitimate. It should have the small bolt next to the URL which indicates the site is secure and registered with https. The next step is to look at the products. A third party endorsement is a valuable asset and ensures the ingredients in your CBD are pure and well-sourced. The website should be able to tell you exactly where their hemp was sourced from and the scientific process behind extraction. Finally, price is an important indicator of quality. We all love a bargain, but not when the product isn't worth buying in the first place. Quality CBD products cost money because the baseline ingredients should be organic, non-GMO. Then manufacturers have to refine and test the purity. All of those processes cost money, so a CBD oil selling for a dollar a bottle is not going to be processed correctly, and may contain no CBD at all! Although, the vast majority of suppliers are legit, it's important to do a bit of research before parting with your hard-earned cash. 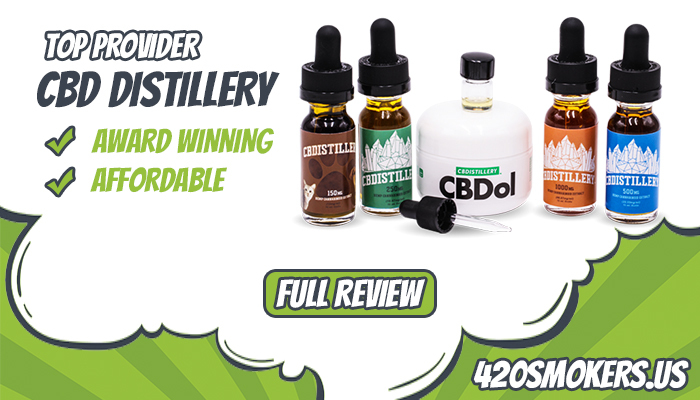 Founded in 2016 and growing to be one of the leading brands in the industry, award winning CBD Distillery strikes a balance between excellent products and affordable prices. CBD essence sources it's produce from Europe and the US. The raw materials are then sent to their labs to produce pharmaceutical grade quality CBD oils and juices. 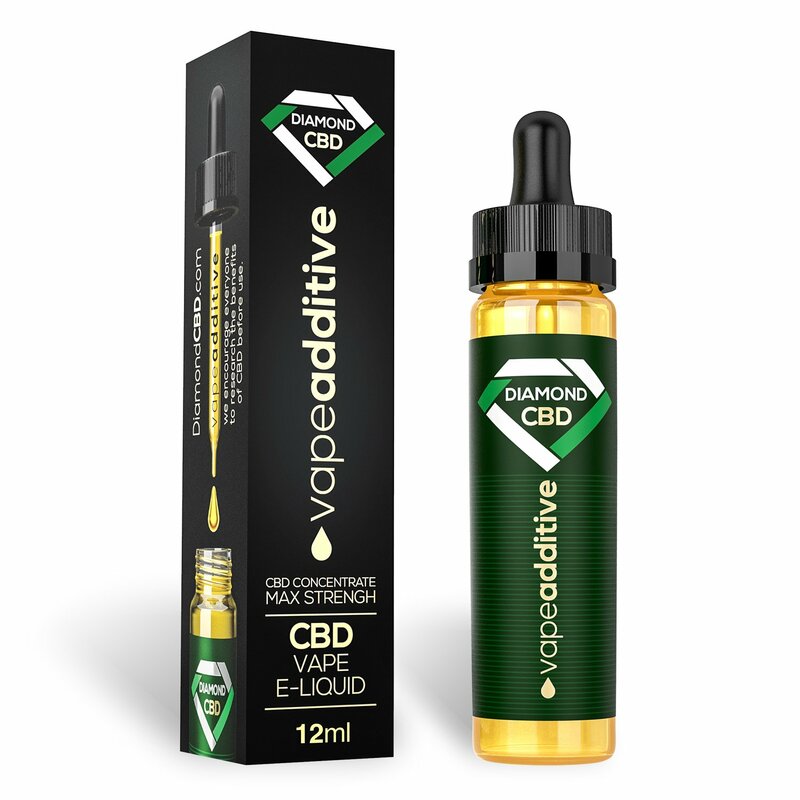 Offering a carefully selected range of scientifically perfected CBD oils, sweets, eLiquids and tinctures, Diamond CBD is searching for the purest CBD products around. Hempbombs have all the points covered when it comes to CBD. Available in Exotic Watermelon and Sweet Mango flavours, as well as gummy bears for those that don't vape. 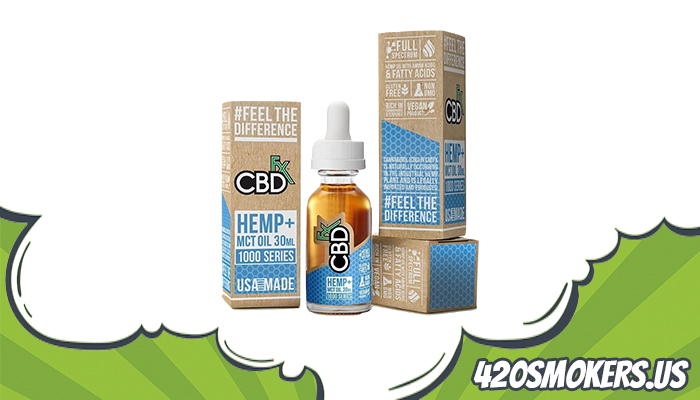 CBDFX is a fun CBD brand that is similar in many ways to eLiquid manufacturers. 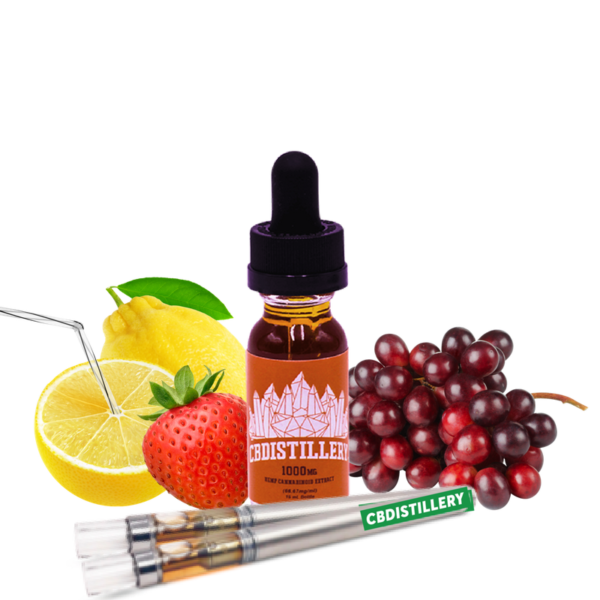 With a full range of fruit flavours alongside specially made CBD vape pens, gummy bears, drinks and pet tinctures. CBD pure is something of an outlier in the industry. Rather than gun hell for leather with a range of product types and flavours, CBD pure have gone back to basics with a small range of just three CBD oils. By now, practically everybody has heard of the benefits of CBD Oil. Unfortunately, it can be a little difficult to get high-quality CBD oil for a good price. Some manufacturers can cut costs which decrease the efficacy of the end product. This is why it is important to verify exactly what it is you are buying. Below are 6 of the best CBD oil retailers on the market so you don’t go wrong when buying your favorite item. This affordable CBD oil company was established in 2016 and has been running successfully since. 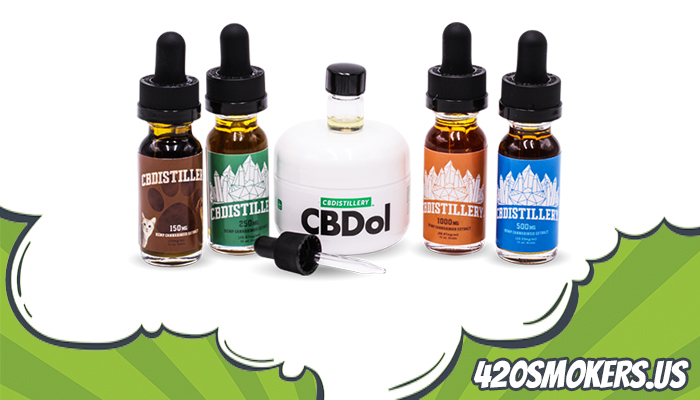 CBD Distillery is one of the more well-known brands in the industry and this award-winning retailer provides a wide range of items for purchase. 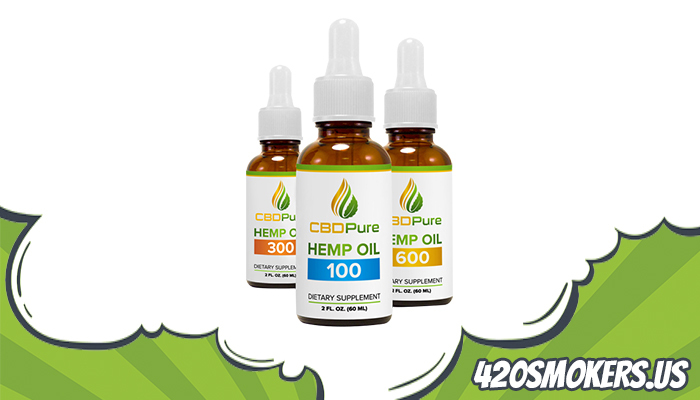 The company is based in Colorado and all CBD oil products from this brand are high-quality and recognized. 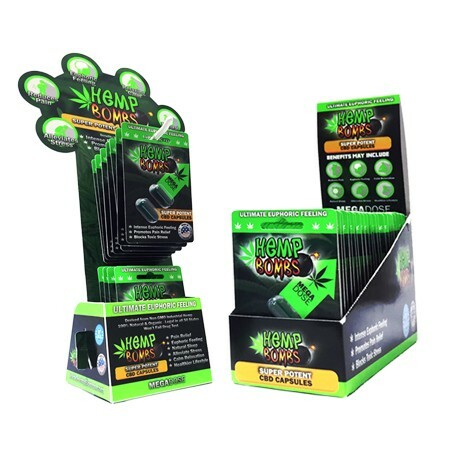 You know what you are getting and they offer a wide range of accessories, including starter kits for new smokers and CBD oil users. Customer satisfaction with this company is off the charts and prices are reasonable. 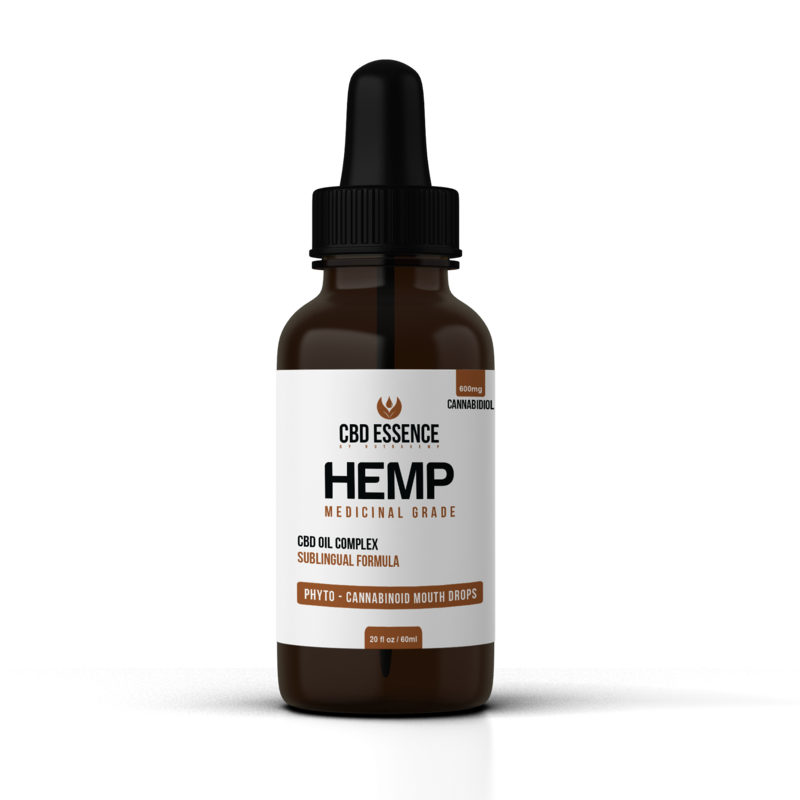 If the quality of the product is your highest concern, then look no further than CBD Essence. This company sources its ingredients from Europe and the USA, which is then transferred to their labs to produce pharmaceutical grade CBD oils. 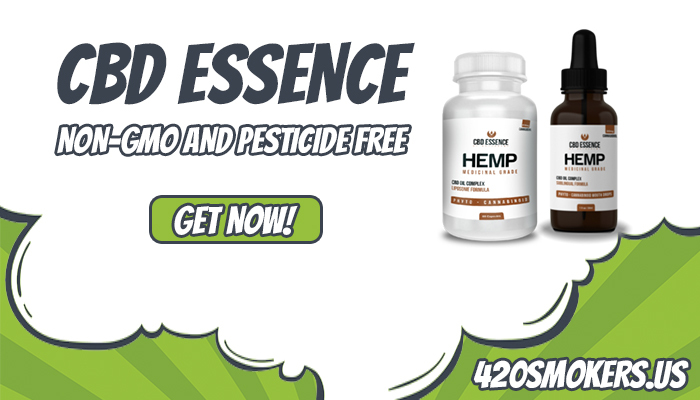 All items are pesticide free and non-GMO, so you are really getting the high-quality organic experience with CBD essence. Obviously, for the best quality material in the market, you can expect to pay more than anywhere else, which is the only real drawback to CBD Essence products. You are not only paying for superior ingredients, but also a sophisticated refinement process using state of the art technology. Diamond CBD shares many of the same characteristics with CBD Essence. The purest quality products are provided, though at a premium cost in many instances. Ingredients are non-GMO and the items are pharmaceutical grade. Diamond CBD has a large range of products in its stockpile and ingredients are sourced nearly exclusively from Kentucky and Scandinavia. They also have a taste for innovation with a wide variety of new products being brought onto the market. With the possible exception of accessories (such as vaping pens), they are a one-stop shop for cannabis connoisseurs. Hempbombs represent a good tradeoff between price and quality. While not quite as reputable as Diamond CBD or CBD Essence, CBD oil obtained from this vendor is going to be the real deal. 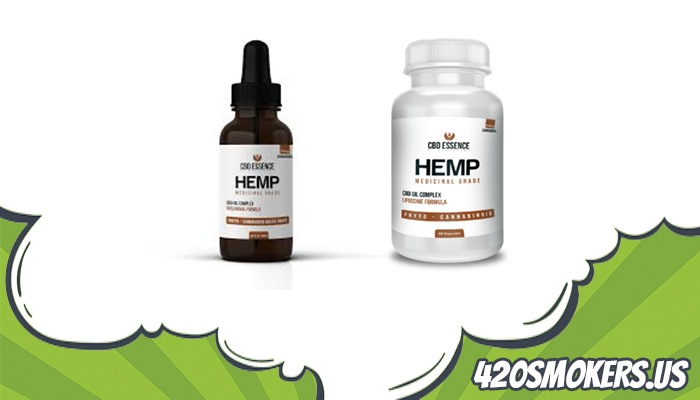 Ingredients from Hempbombs are organic and certified as safe to use and free from heavy metals. They are relatively new to the market and could be a good bet for those who are not willing to pay top dollar for their marijuana materials. It is impressive that organic products from Hempbombs retail so cheaply and if more companies like this come to market, it could bring down the overall cost of premium CBD oil. Hempbombs has a diverse product range and is rapidly expanding its business presence and product line. CBDFX is a niche brand focusing on alternative cannabis products with a distinct novelty effect. They have a wide range of items for sale in different sizes and flavors. The best analogy is that CBDFX is an adult toy shop for CBD products. They have a whole range of vaping products which is what the company is focusing on right now. But despite a focus on novelty items, all ingredients are certified organic so consumers know they can trust the brand. Produce is grown in Europe before being shipped to the USA for testing, refining, and processing. 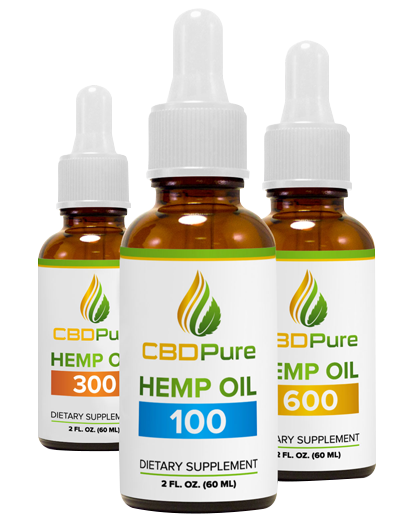 The exact opposite of CBDFX, CBD Pure are focusing on a range of just 3 CBD oil products. As they only have 3 items, you can be sure that they are of the highest quality. Each of the 3 CBD oils is organic and tested by a third-party. They have gone for a more professional appeal as a provider of CBD health products, as opposed to being a provider of fun and entertaining recreational items. A lot of consideration has gone into the creation of these 3 bottles of magic, each one cold pressed and free of any artificial impurities. They even go a step further than other high-quality CBD oil providers with their testing and refinement processes. A third-party tests for Terpene, Pesticides, Microbiological substances and Residue. Expensive, but the very best of the very best. 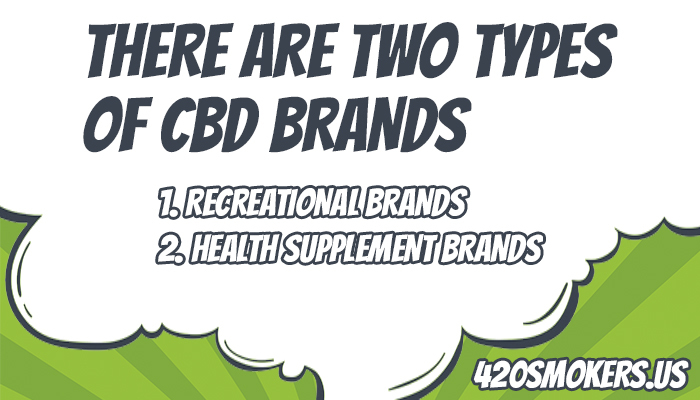 There's lots of new CBD brands cropping up all serving different needs and with different products. But the core principals of well sourced, refined and pure ingredients is the same regardless of what end-product the vendor is producing. Loosely there's two broad groups: health supplements and recreational. Health supplement brands tend to be slightly more expensive, but offer a more stringently tested end-product. These might be in the form of oil, tinctures or tablets. Generally speaking, health supplement brands will have fewer products with a greater focus on the quality of their ingredients. Recreational brands are instantly recognisable. They tend to experiment with fun products like gummy bears, soft drinks or flavoured vape products. You'll find smaller concentrations of CBD in their products but often at cheaper prices. If you choose CBD to relax and have fun then a recreational site is the one for you. If you're looking at CBD products to help alleviate long term medical issues then opt for a health brand with higher concentrations. The price vs. quantity. High mg contents of CBD can cost upwards of $100 so be aware of the average costs by checking more than one website. Any certification or awards that have been given to the product. Is it a health supplement or designed for recreational use? Wondering why you should order online rather than shooting down to your nearest dispensary? Selection - Shopping online has a larger selection with a lower price than in store. Quality - Some of the best quality CBD manufacturers don't have physical shops, yet. Products - New products will always appear online before instore. Be the first to try them. Delivery - Getting CBD delivered means you can spend more time on the sofa! CBD does contain THC (the pyschoactive ingredient in marijuana) the concentration levels are below 0.03%. That means they're legal in all 50 states and won't get you high. Although, users do report increased levels of relaxation and it has been used to help treat anxiety among other things. CBD is all natural and poses no risk to the majority of uses. In some rare cases a person may be allergic, should you feel any nausea, rashes or other signs of allergy, stop using immediately. The milligram to milliliter ratio refers to how many milligrams of CBD there are per milliliter. It's indicative of strength and runs from as low as 20mg to as high as 1000mg in most products. CBD is just a plant extract. The products themselves will define how to take it. Many users of CBD enjoy vaporizing it and inhaling the vapor. Others will eat it in sweets or apply as a topical cream. It's really up to you. Why do I need Organic, non-GMO CBD? CBD products should be as pure as possible. Residue from pesticides, metals or other external influences could make it dangerous to ingest, vape or use. Most good products will be organic, non-GMO as standard. With the low quality being sold in stores, it is often a better option to purchase your CBD online and have it delivered to your door. In May 2018, CBS News reported that 52 people had become sick in Utah after using fake CBD oil. According to a report released by the Centers for Disease Control and Prevention, scientists found out that as many as 52 people became sick from October 2017 to March 2018. As a consumer, differentiating the fake CBD oil from the genuine pure CBD oil is difficult especially if you don’t know what signs to look for. Naturally extracted CBD oil is safe for use and is helpful to many users. To help you differentiate between fake CBD oil and pure and genuine CBD oil, here are some of the signs you should look out for. Want to tell the difference between genuine CBD oil from fake CBD oil? Here are five signs to look out for. Avoid products that advertise they cure everything. Although CBD oil has been found to have the potential of curing diseases such as cancer, seizures, epilepsy and Alzheimer’s, it does not cure everything. What you ought to know is that CBD oil does not have the ability to cure every disease. So when buying CBD oil from a online CBD supplier or headshop, take the time to read the fine print or label. If the label or fine print claims that CBD oil can cure everything, avoid it at all costs. If you buy genuine CBD oil, you will find out that it is able to cure certain health problems and not all of them. So, take your time when shopping for CBD oil. Understand all about CBD oil. One of the reasons that has been attributed to consumers’ inability to tell the difference between genuine and fake CBD oil is that they are yet to fully understand what CBD oil is. The first thing you should know is that pure and genuine CBD oil is extracted from organic and certified Hemp. Next, the extraction method used by leading companies helps to deliver the best product to consumers. During extraction, reputable CBD companies use productive extraction processes such as CO2. This is a low temperature and high-pressure technique that allows manufacturers to capture CO2 in a liquid state. In addition, it allows the manufacturer to draw CBD oil from the plant effectively. After extraction, the manufacturer usually tests the compound to determine if it’s safe for use and effective in treating certain health conditions. Look out for the Non-psychoactive seal of approval. Whether you are purchasing CBD oil from your local smoke shop or online, it is important to check for the non-psychoactive seal of approval. As you already know, cannabis is classified as a Schedule I controlled substance but CBD oil is not. If it were, then CBD oil would contain traces of THC, a compound found in cannabis and responsible for the psychoactive effect. Although cannabis has been legalized in more than 50 states, it is still classified by the federal government as a Schedule I controlled substance. As such, the federal government considers it illegal to purchase any product that contains psychoactive substances. Seller transparency. 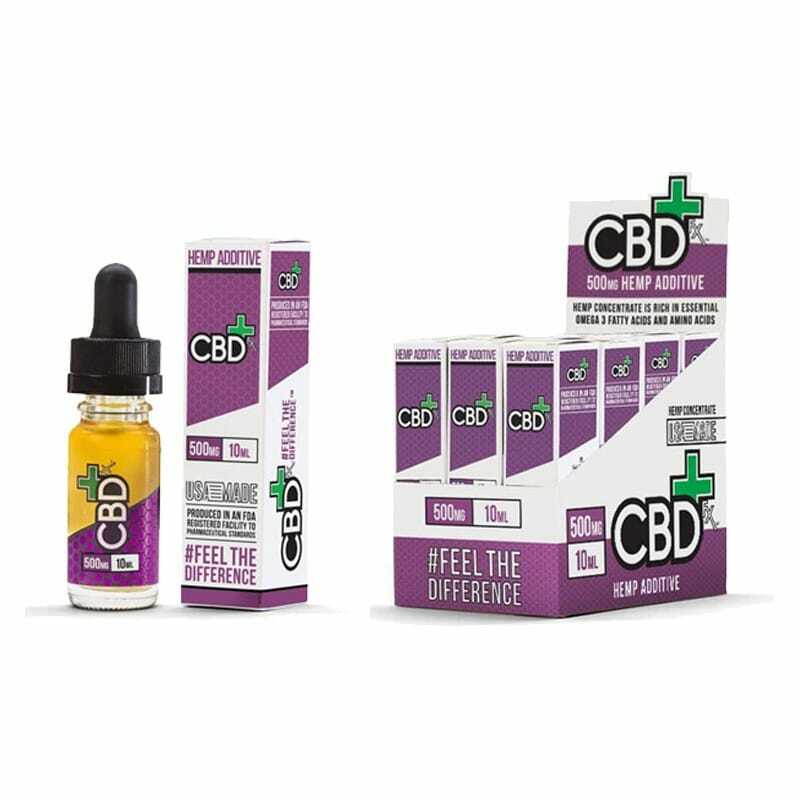 Is the seller transparent when it comes to displaying the ingredients used in the production of CBD oil? A reliable and trustworthy manufacturer or seller will have no problem displaying the list of ingredients used in the manufacture of the CBD oil. High-grade CBD hemp oil is sourced from Denmark, Colorado, Germany, Netherlands and other Scandinavian countries. If you find that the hemp used to produce the CBD oil was grown under non-food conditions, then you will be consuming the toxic substance. Check the color. A vast majority of CBD oil users don’t know that the product is available in different colors. This usually depends on the degree and quality of the product but not always. Here is how to differentiate the color and type of CBD oil. If the CBD oil has a black or dark green color, then the oil was extracted from raw hemp. The reason it has a dark green or black color is that no further purification was done. This means the oil contains chlorophyll. Decarboxylated CBD oil has the same color as raw CBD oil but it undergoes further purification. Filtered CBD oil is what most manufacturers make. It has a light golden color and undergoes both decarboxylation and filtering processes. Due to its popularity, fake CBD oil products are already finding their way in smoke shops and online stores. The good news is that you can differentiate between genuine and fake CBD oil. All you have to do is check the color, check out if the seller is transparent, check for the non-psychoactive seal of approval, learn more about CBD oil and avoid products advertising that they cure everything. The two primary compounds of cannabis are THC and CBD, and each of these has multiple beneficial effects on human functioning, which are well documented. Both of these compounds act on the cannabinoid receptors in the brain but vary in their effects. THC is what is responsible for the psychoactive effects of cannabis, which is what gets people high. THC and CBD are each useful for certain illnesses. But CBD is used purely for therapeutic and medical purposes. Because it works on the endocannabinoid system, which is intrinsically linked to the central nervous system and endocrine system, it works to a degree on practically all diseases. There is even an endocannabinoid deficiency theory that all disease must be linked to cannabinoids, explaining why CBD and THC have positive effects on so many health issues, from headaches to IBS to depression to schizophrenia. If you're looking for CBD oil for anxiety, there are different ways you can take it. Anxiety affects people of all ages from adults, teenagers and even pre-teens. For instance, in the USA an estimated 30% of adults and 25% of teenagers suffer from anxiety. A lot of people tend to struggle with anxiety, therefore, these statistics should not even overwhelm anyone. Most people are not aware that inflammation is related to anxiety. There is a new research dubbed cytokine model studying how cognition is affected by inflammatory. In the long run, it causes anxiety, depression, brain fog, ADD, ADHD and autism. Research has it that high levels of NF kappa B(NFkB) which is dangerous in the brain can cause anxiety. However, people with lower levels of NFkB have low levels of anxiety. And that is why people with high levels of anxiety tend to use marijuana. A research showed that cannabis helps relieve anxiety. However, it can be a risk since most people have turned to marijuana for recreational purposes. However for people looking for a more subtle way to reduce anxiety then CBD oil is the way to go. A small study done in 2011 shows that CBD has the potential to reduce anxiety. Brain scans revealed that receptors and blood flow to the brain were affected. CBD oil is a natural anxiolytic. It is thought to work with a brain receptor known as CB1. Although research to how it affects CB1 is still an infant, it is thought to alter serotonin signals. Serotonin is a compound found in the blood and platelets it plays the role of a transmitter. It is well known to cause feelings of well being, focus, happiness and less anxiety. Therefore low levels of serotonin are known to cause depression and high levels of anxiety. Patients with low levels of serotonin are prescribed with SSRIs. Various studies and scientific reports have proven to treat epilepsy well with the CBD oil. The kids who’ve been known to take the oil regularly have been reported to have a reduction in the number of seizures and pain they face during an episode. The reasons, though still under research, are theorized as its anti-inflammatory properties and the ingredients filled with anti-oxidants which make it a great neuroprotective compound. Apart from epilepsy, the oil has also proven to work well with people suffering from anxiety and depression. There are have been cases where they’ve been termed as a better alternative to many anti-depressant drugs as well. One of the reasons are contributed to the quality of sleep CBD oil provides to its consumers which helps increases the serotonin levels in the body, thus improving the mood and dealing well with anxiety. According to the National Institute on Drug Abuse, studies point out that CBD oils can reduce anxiety. Moreover, it has shown benefits in reducing Social Anxiety Disorder and Post-Traumatic Stress Disorder. In 2017 a comprehensive research was done and there was not sufficient evidence that CBD had any effect on depression. However, studies were done on animals thus researchers need humans to make a comprehensive conclusion. In 2016 a study was done and it showed that CBD has antipsychotic benefits especially to schizophrenia. Therefore before supplementing it with one's diet, it is crucial to consult a doctor. The medical world has been using opioids for pain relief. But, opioids are highly addictive and have led to what is commonly referred to as the opioid epidemic. CBD has been in use for pain relief for many years. The medical world has just recently begun studying it to see if it can become a non-addictive alternative for pain management. CBD and Chronic Pain – According to this report, CBD can be used to treat chronic pain. In the report, the researchers compiled results from studies and research conducted between 1980 and 2007. The researchers concluded that CBD was effective in relieving chronic pain without adverse side effects. Experts think that CBD interacts with receptors in the immune system and brain. Receptors are attached to cells and help cells respond to signals from different stimuli. CBD helps receptors to react accurately leading to anti-inflammation and pain-killing effects. CBD, therefore, could help people with chronic pain such as back pain. CBD and Arthritis Pain – According to this study, CBD could help in pain management for people with arthritis. The researchers conducting this study applied a topical gel containing CBD on rats suffering from arthritis. They applied the gel for four days. Within that period, they noted a significant drop in signs of pain in the rats and they observed there were no side effects. Scientists are yet to conduct human trials to confirm these findings. However, there is hope that CBD oil might help people living with arthritis with pain management. How much CBD for a better (REM) sleep? You might have heard that the brain moves through stages during sleep. To be exact, there are five different ones. One of them is called rapid eye movement (REM). During this stage, your eyes move in various directions. This stage starts usually late at night during a deep sleep. Even with the increased legalization of medical marijuana in the states, many physicians are reluctant to prescribe CBD and cannabinoids because they are not certain of the exact dosage to prescribe. Most medical schools entirely omit CBD Cannabidiolin pharmacology courses after all. As a result, medical scientists have just starting to develop dosing schedules specifically for medicinal hemp, medical marijuana and their extracts which include CBD. For this reason, there is no definitive answer to exactly how many drops of CBD oils you should take to achieve REM sleep. The trick is to find it yourself through research and trials and finally hitting your perfect dose. However, clinical the ongoing clinical studies have provided a rough estimate of what quantity of CBD oil you need to achieve REM sleep. 15mg of CBD oil results in mental alertness and wakefulness moments before sleeping hours. CBD REM sleep can be achieved thereafter. You need to take this dosage not less than 4-3 hours before sleeping hours. 160mg of CBD oil significantly improves sleep in the insomniacs and helps them achieve REM sleep much quicker than lower doses. In a report published in the Redstorm Scientific Journal, 160mg of CBD oil was found to produce high-quality sleep, long sleep time and much fewer interruptions during the sleeping time. This research was conducted on 15 patients with acute cases of insomnia. It is still unclear whether the results should be taken as standard or the whole effects were placebo. Similar trials are still ongoing. 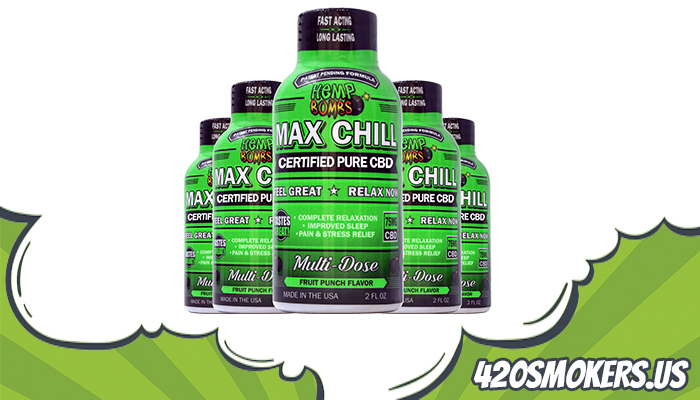 Other clinical trials show that 400mg of CBD not only produce faster and long lasting REM sleep but also effectively treats anxiety disorders in the process. While CBD is yet to be explicitly proved to be a sleep inducer, the type of the CBD in use has a more profound influence on the purported effect, whether placebo or not. Lots of its frequent users claim it CBD has greatly helped them achieve REM sleep anyway. CBD is a perfect option for medical marijuana users keen in achieving REM sleep without getting stoned. Preliminary results from the otherwise infant clinical studies indicate that 160mg is the best dose for achieving REM sleep. However, taking 400mg can still work for some users, but you need to exercise caution to eliminate the risk of overdosing yourself. 15mg of CBD is great for the overly cautious stoners. However, the trick to achieving a perfect dose is to conduct your own research and trials at home beginning with 50mg CBD and progressing exponentially to hit your perfect point. In addition, you need to eat healthy food, do exercise regularly, and maintain a healthy lifestyle. This is one of the simplest ways of using CBD oil. While using the sublingual route, you place CBD oil under the tongue and hold it there for about ninety seconds. The mucous membranes in the oral space will absorb the active ingredients in the oil. The oil goes directly into the blood capillaries in the mouth and straight into the bloodstream. This method is excellent for consuming pure CBD oil, tinctures and concentrates of CBD. You place a drop under the tongue or along the cheeks and way for CBD to get absorbed. After sometime, you will swallow the product but remember you must allow it sometime to absorb into the bloodstream before swallowing. The benefit of the sublingual method is that the CBD oil does not go through the digestive process. The absorption goes straight into the bloodstream without undergoing any metabolism. This means that the onset of action is quick. The sublingual method is the best for those who want to experience the effect of CBD oil quickly. Be careful when using tinctures, to avoid losses when the drop falls on the tongue or spills to cause a mess. The sublingual method is also excellent for concentrates. The downside is you may not find your favorite flavor in the market, and you will have to settle with the natural flavor, which many people do not like. Some people find the packaging of concentrate like syringes a bit intimidating. However, your interest is on the effectiveness and not the packaging. Some manufacturers formulate CBD oil products for topical use on the skin. Some brands now incorporate CBD oil in products such as creams, lotions, salves and even lip balms. When applied topically, CBD products get absorbed through the skin so that they affect the cells near the surface without reaching the bloodstream. CBD ointment is the ideal solution if you are seeking isolated pain relief or you want to deal with a skin condition. The benefit is that you can apply the product directly to the affected area of your skin. CBD topical products help with conditions such as acne, chronic pain, inflammation, psoriasis, as anti-aging among many uses. You can also find a number of daily healthcare products if you do not have skin problems. You can find CBD oil baths as well as other body care products including body wash, conditioner, moisturizing lotion, and shampoo. Many people consume CBD capsules as supplements. Capsules offer the easiest way of consuming CBD. Like vitamin supplements or another pill, you simply take them with water.The daily supplements often contain 10-25 mg of CBD per capsule. Before you include the supplement to your daily regiment, it is crucial that you understand your daily dose. One pill daily is enough, but you can adjust to suit your needs.Pay close attention to the concentration of CBD in the capsule and amounts of CBD you consume via other ways. You can also inhale CBD oils by vaporizing. You are just inhaling the CBD vape oil. Your vaporizer heats the oil to release the active compounds, but the heat is not enough to activate the harmful byproducts caused by direct combustion. When you vape CBD oil, CBD enters your lungs and is absorbed directly into your circulation. CBD gets into your system much faster because it does not go through the digestive system. You also find maximum absorption during vaporization than when you ingest CBD oil. As opposed to ingesting CBD, Vaporizing the oil yields effect much faster. The good thing about concentrates is that they contain the highest amount of CBD oil than any other product. 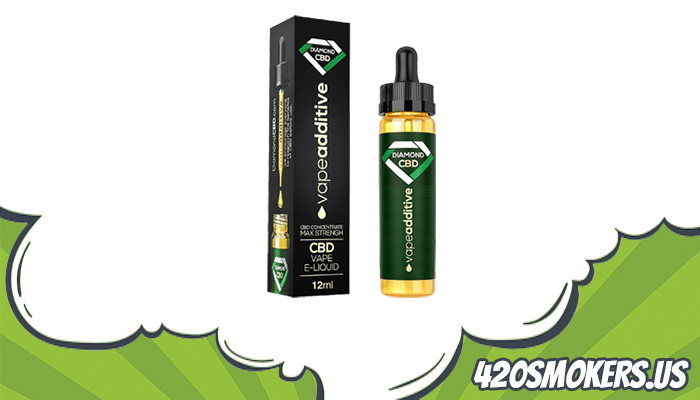 CBD oil sprays contain the least concentration of CBD oil compared to other CBD products you can find in the market. Often they have a concentration of about 1 to 4 mg. With spraying, it is usually a challenge to determine the exact amount of dose which makes CBD sprays very inconsistent. CBD sprays come in handy when you want to use them while on the move. You will find the sprays easy to carry and you can use them almost everywhere. Sprays are also very easy to use; just spray the dosage into the mouth, and that’s it. About two to three sprays are enough. Always follow the instructions on the spray before using it. When taking a new job, you are subjected urine drug screen that consists of immunoassay. This is a biological test that contains antibodies that detect THC and THC-COOH. Therefore, this test is specifically designed to test the use of the psychoactive compound in cannabis, THC. As luck would have it, urine drug screen for THC has little reactivity to other non-psychoactive like CBD. This means that CBD oil from hemp contains little amounts of THC which should not make the user fail a drug test. Nevertheless, consuming high quantities of CBD such as 1000 to 2000mg daily is approximately 3mg of THC which could be positive on a drug screen. When should you worry about CBD oil and drug tests? With many people concerned about drug tests especially when looking forward to securing a new job, the question that pops in their mind is, do I have any reason to worry about CBD oils and drug tests? A simple answer to that question is that the quantity and source of CBD is a concern when taking a drug test. This is because there are CBD products which contain trace amounts of THC. Always make sure you find the best CBD sellers. For instance, purchasing a high-CBD strain from any adult dispensary is likely to contain 1% THC or even more. If you consume the same more times in the day and in high quantities than it should, the small amounts of THC are enough to make your drug test turn positive. According to the U.S. federal standards of drug testing, urine containing more than fifty nano grams of THC-COOH/mm of urine gives a positive result. However, the cutoff concentrations differ with employers or testing centers. If using CBD isolates or hemp CBD products, it would be unusual to test positive on cbd drug test. CBD was discovered in 1940, THC was isolated in 1964 and according to the research, CBD contains 7-COOH-CBD as their metabolites while the main metabolite in THC is THC-COOH. Scientists have succeeded in the transformation of CBD into THC after using a synthetic substance meant to mimic gastric juice for a long time. However, you have a reason to smile because this transformation cannot happen in the human body with the daily use of CBD. This is because the body does not produce an enzyme protein responsible for converting the CBD into THC after being ingested or inhaled. This also proves why CBD cannot make you fail a drug test. CBD is gaining its popularity due to the tremendous benefits it comes with. It has medically been proven to reduce inflammation, pain, spasms, nausea, artery blockage, intestinal contractions, and tumor growth without making you feel high. However, it goes without saying that it’s associated with THC and many people are letting all these benefits pass by due to fear of workplace repercussions. The good news is that you don’t have to fear anymore as the consumption of CBD products cannot show up on the standard drug screens. The only thing you need to do is avoiding over usage, and this can be excellently done by using the standard daily servings as listed on CBD’s packaging products and when called in for a job interview, be positive as the drug test for CBD will be negative.